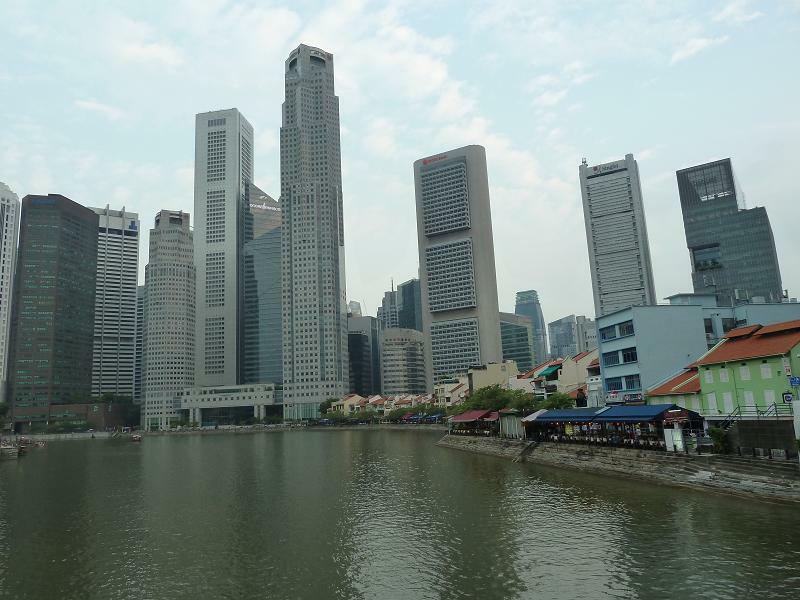 First things first, after leaving Indonesia we went to Singapore where Russel left us again.We found Singapore to be a very pleasant but quite expensive city. We stayed here longer than expected though, because our engine was acting up again. Along the way from Bali to Singapore it had started leaking oil. Not good for a 6 months old engine. Yanmar Singapore took it apart, checked everything an put it back in, so after three weeks we where good to go. 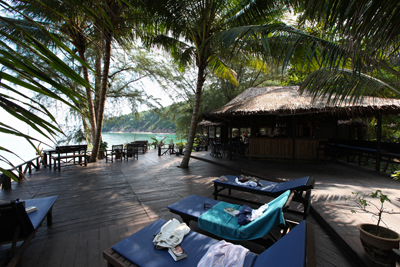 Because we wanted to go back home for a while, we decided to sail up to Phuket and leave Helena there on the dry. To get there we had to sail through the Malacca Strait, which seems to be the area in the world with the most thunderstorms ever. Every night we would see the dark clouds gather above the land and slowly come towards us. A scary sight and not something we wanted to get caught in. So we marina-hopped or way towards Thailand, stopping on the way in Port Dickson, Penang, Langkawi (all Malaysia), Koh Lipe, Koh Lipe (where we spend New Years Eve) and Krabi, finally ending up in the Boat Lagoon in Phuket. There we got Helena ready to go out of the water and met the wonderful Malcolm and Wanna who let us stay in their house while we were waiting to leave and again on returning to Phuket. To get from Phuket to Bangkok for our plane to Amsterdam, we decided to drive ourselves. That seemed like a smart idea: we could see some more of Thailand and wouldn’t have to recheck our luggage. But we didn’t really consider the way the Thai drive in our idyll of driving around the countryside. First we thought they were mad, but after a few days we figured it out: if someone went to the trouble of putting some asphalt somewhere it would be a shame to waste it. So when we thought we were on a two lane road with a shoulder on both sides, the Thai figured it could easily be used as a four lane road (if not five). With that basic knowledge we arrived in Bangkok safely and flew back home for a few months. Although you would think we had learned our lesson, driving to Bangkok, we also did the return trip by car. This time we were a bit more hesitant, but as we had shipped a 35 kilo weighing sail to Bangkok, we didn’t really have a choice if we wanted to be sure it arrived in Phuket safely. So we took the same trip again, and unfortunately the closer we got to the West coast, the more rainstorms we encountered. We had hoped that the monsoon would not have started at the end of April, but apparently this was a freak year with an early start of the monsoon season. From out time in Phuket getting Helena ready to sail again, we mostly remember ourselves hiding away from the rain somewhere. We were happy to catch up with our friends on the Kittiwake who had spend the last few months in Phuket getting all kinds of things fixed on their boat. It took us a lot longer then we expected – engine trouble again! 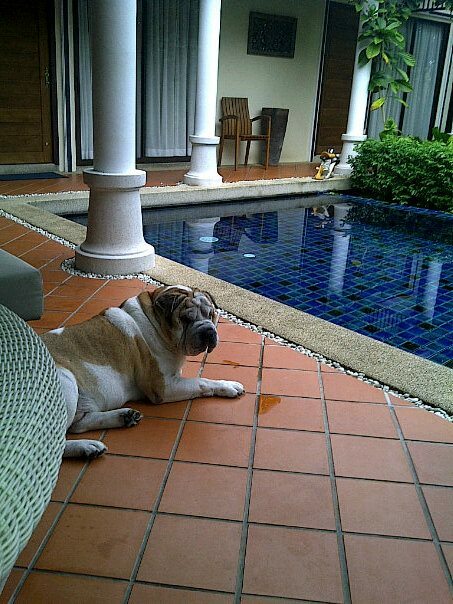 – so when we finally left Phuket we were happy to be getting out of the monsoon zone. And as soon as we left Thailand, the rain just stopped. Langkawi was nice and dry. 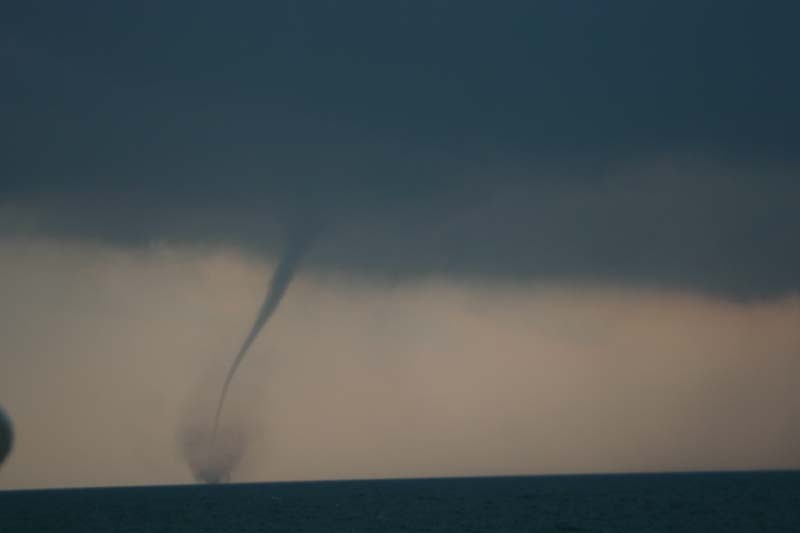 On our way down through the Malacca Strait we saw this very impressive mini tornado very close to our boat. Actually, had Rolf not decided to evade a big rainstorm, we probably would have been right on that spot. And then our engine blues started. As soon as the Yanmar people in Singapore looked at our engine, they decided we needed to remove the exhaust high-riser which Yanmar Darwin had told us we needed to install to be able to keep our warranty. As we had never been happy with this burning hot monstrosity in our engine room we were only too glad to do so. But that didn’t solve everything and Yanmar decided that we had overloaded the engine. Even though this engine was almost the same as the one we had before and was recommended by the shipbuilder. We tried and tried to convince them there was something else wrong, but in the end we gave in and put a smaller propeller on the boat to reduce the load. That did get our RPM’s up, but the engine was much too slow and basically under loaded. After three weeks of useless discussions about our engine, we really, really needed a break. 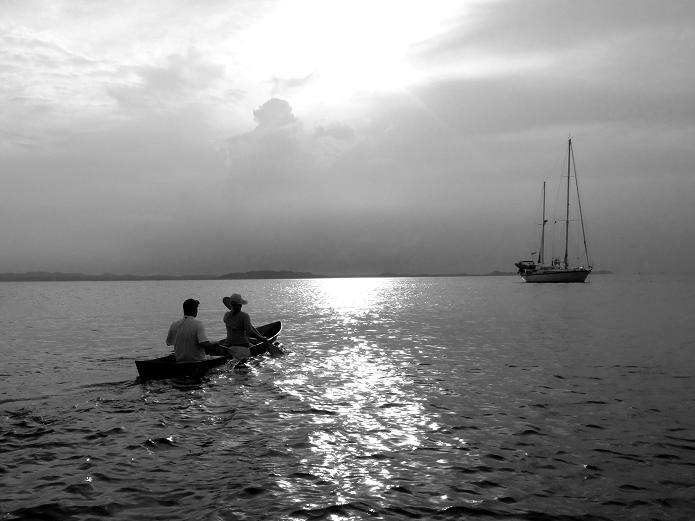 So we sailed up the East coast of Malaysia to the Tioman archipelago. Here we spend a very relaxed month, doing nothing more than reading, swimming, sleeping, canoeing, have a drink and playing a game of Scrabble every night. It was bliss. We especially liked Pulau Sibu, where we anchored in a bay in front of the very laid back Rimba Resort and spend a few pleasant evenings on shore. 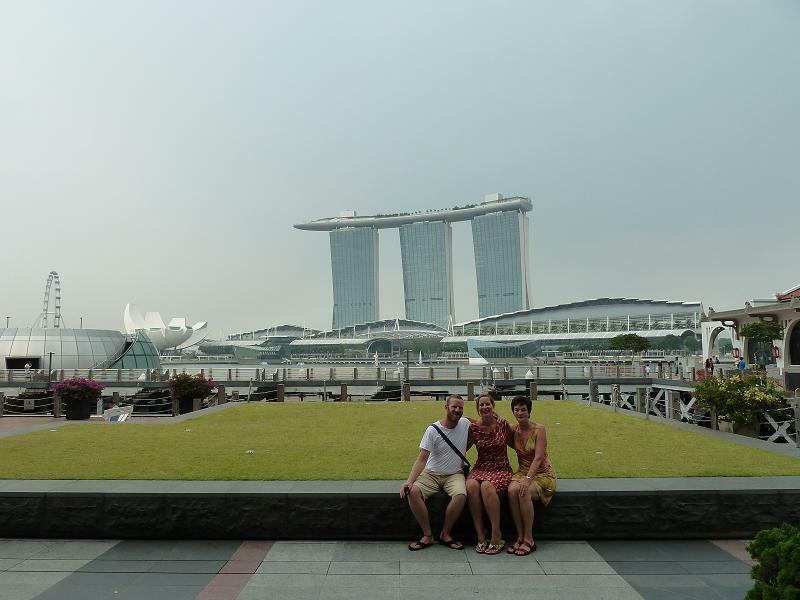 Back in Singapore, we tried to enjoy our stay as much as possible. We met up with our friends Tim and Rebekkah from the Kittiwake again, as they arrived in Singapore’s Marina at Keppel Bay shortly after us. And we had a nice visit from Boukjes parents in Singapore. 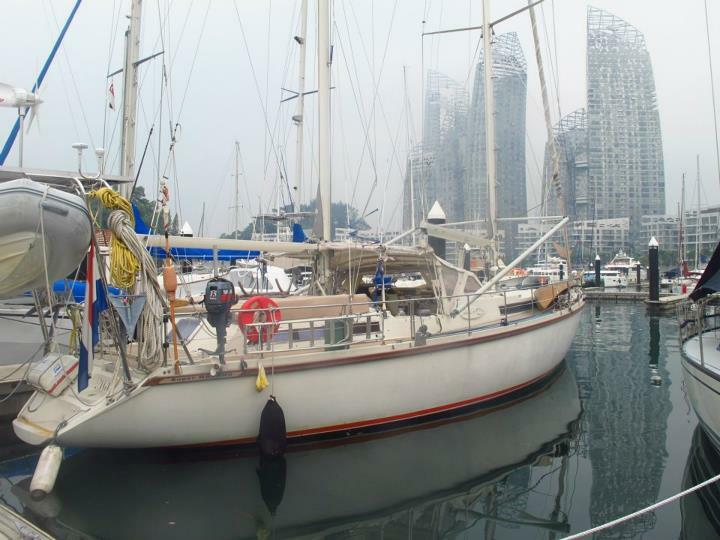 We had planned to go sailing with them through Indonesia, but as we had no engine at the time (I know it’s a sailing boat, but still) it turned into sightseeing Singapore. And taking advantage of the wonderful food Singapore has to offer. We really enjoyed being able to eating food from a different country every night, and of course especially the Asian food is really good. As we haven’t yet been to Japan, here we found the best Sushi we ever had. Meanwhile we again tried to convince Yanmar there was something wrong with our engine. And again they said it was overloaded and that all the problems were therefore our fault. Although we still disagreed with them, after three weeks of going back an forth with no apparent progress, we really didn’t have any other choice left to pay a ridiculous amount of money to have our engine fixed. We were also bound by time as Rolf had to start the crossing of the Indian Ocean in the next few weeks. So Yanmar took the engine out, took it to their workshop and had a really good look at it. It turned out our engine had a very strange production fault (for those who know about engines: the honing marks in our cylinder block were horizontal instead of diagonal which caused the oil to leak out an the cylinders to not function properly). And then everything changed! It wasn’t our fault after all and Yanmar replaced almost every part of our engine before installing it back on Helena (under warranty as well). It took them a long time though, so Rolf left Singapore a week and a half after we originally planned, making his trip across the Indian Ocean even closer to the cyclone season.